If you have an appetite for news and information, we have something for you. 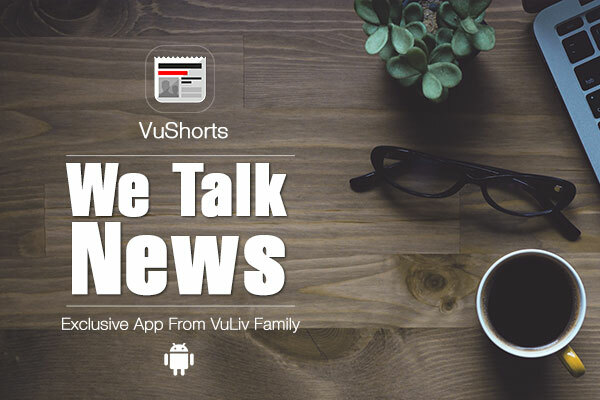 Tried our news app, VuShorts yet? Well, it a small yet a powerful app that will satisfy your hunger for news and information. Now get daily up to the minute news and information on your mobile on the go. Get real time news updates from the best sources around the world across all beats of National, International, Politics, Sports, Lifestyle and more! Just swipe up for the next news or just tap to share a News with friends on your network. The beta version of VuShorts is available on Googleplay store; we look forward to your kind support and feedback to help us improve and deliver what you want. So, download the app now and become a beta tester today!